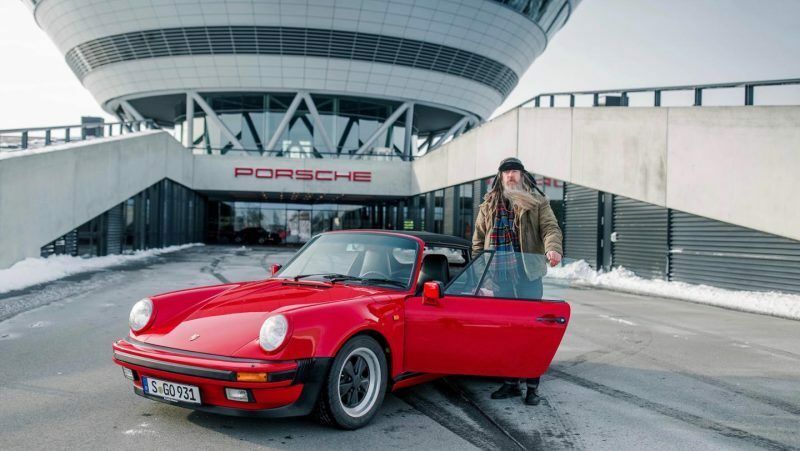 Of all the modern celebrities associated with Porsche, there are few non-race drivers with the same sort of relationship with the marque as Magnus Walker. Even Mark Webber struggles to drum up the same sort of fanfare as the bearded outlaw who, among other things, has made a name for himself thanks to a big personality and his stunning cars—which any honest Porschephile can't help but be envious of. As a testament to his popularity, more than 250 fans were on hand to greet him when he visited Porsche Leipzig last week. Walker lives and breathes the brand, and with garages full of 911s and a very open affection for all things Porsche, it was only a matter of time before the man was given the grand tour of the Leipzig factory. 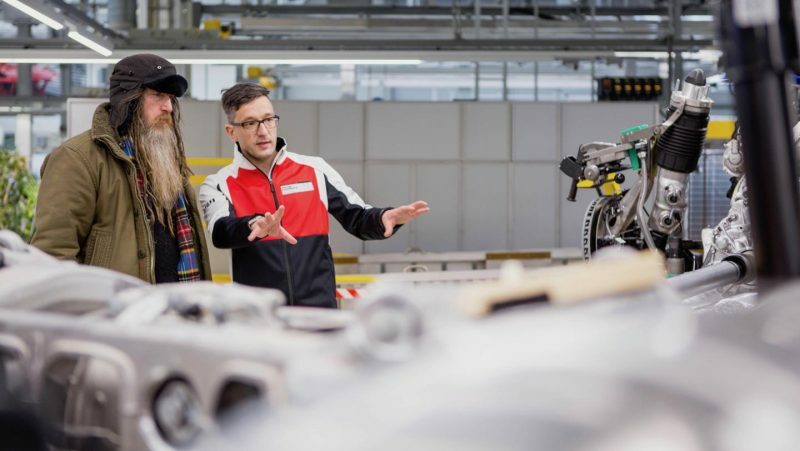 The fashion designer, author, real estate investor, collector and hobbyist stopped by the pit lane before being given the production tour, where he was shown some of the 650 cars—Panameras and Macans are produced at this plant—made there every day. Walker's appreciation of detail borders on obsessive, which is why his cars are so gorgeous—and why he absorbed every bit of information thrown at him. As a man who's built an incredible number of hot-rodded Porsches, there are few who appreciate the quality of production as Walker does. Especially in the final step of the assembly, where the body and underbody are brought into mechanical matrimony. “This process step reminds me of a poster from my childhood. It showed a dismantled 911 930 Turbo. I loved it,” he recalled. Walker's fans gathered as he answered questions about his autobiography, "Dirt Don't Slow You Down." Towards the end of the day, each visitor had the opportunity to test the Porsche Leipzig race track in their own vehicle before Walker regaled them with stories about his own hard-scrabble upbringing in Sheffield, his rise to success in Los Angeles, and the closely-knit relationship he's kept with Porsche throughout his colorful life. From dreaming of sports cars as a boy, to owning a small armada of Porsches, to becoming an admired ambassador for the brand, there are few success stories like Walker. He's a motivator, an iconoclast, and an inspiration to any Porsche fan. Magnus is popular not just for his Porsche’s, he is just a good bloke and always approachable. I met Magnus two years ago at Rennsport at Sydney Australia, Magnus was walking towards the photo shoot of all the Porsche’s on the main straight and i was sitting on the pit wall, as Magnus come closer i noticed he was slightly limping and i said hello you have a crook knee, yes Magnus said, i said you should try fish oil it has helped me with my knees and that was my conversation with Magnus. Magnus did not know me from a bar of soap, but still stopped and talked and that is wait he did all weekend at Rennsport with anyone who wanted to talk or take selfies, a admirable trait in any human.